One of the hardest things to do when planning a vacation to Walt Disney World is deciding which resort to stay at. With eight fantastically themed Disney Vacation Club Resorts to choose from, it’s not easy to pick just one. Honestly, no matter where you stay, you’ll have a wonderful time. All the resorts have the same basic amenities: pools, exercise rooms, dining options, transportation, etc. Room types are consistent from one resort to the next: all the studios have a kitchenette, all the one and two bedroom units have in-room laundry. They all boast Disney’s reputation for quality and service. So how do you pick which resort to stay at? At first glance, it seems the only difference between resorts is the theming. While that is certainly the case, each resort has several other unique features that set it apart from the other resorts. These things don’t necessarily make one resort better than another, but they are good things to consider when you’re trying to decide where to stay. I’ve assembled a list of unique features for each resort and today I’m sharing, in no particular order, my top 10 reasons to stay at Disney’s Old Key West Resort. 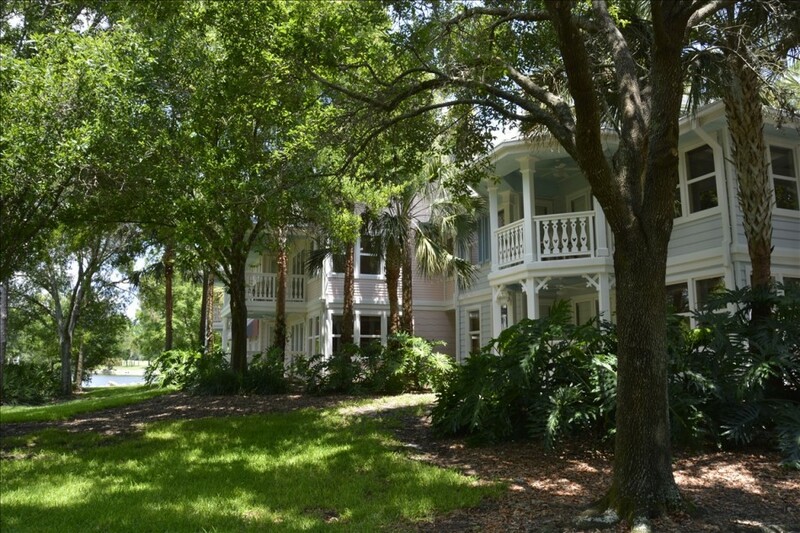 Old Key West was the very first Disney Vacation Club resorts built. Since then, DVC has changed the basic floor plan of its units. 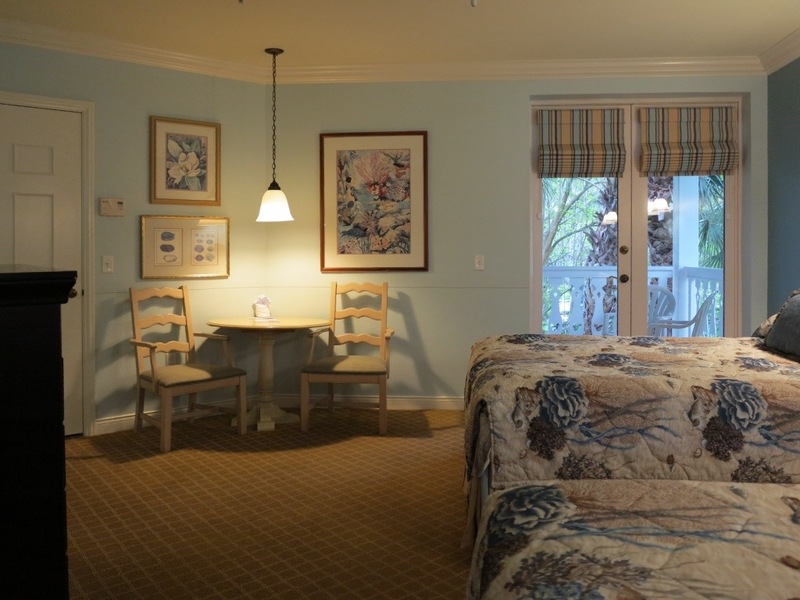 The rooms at Old Key West are quite a bit larger than the ones at the other DVC resorts. 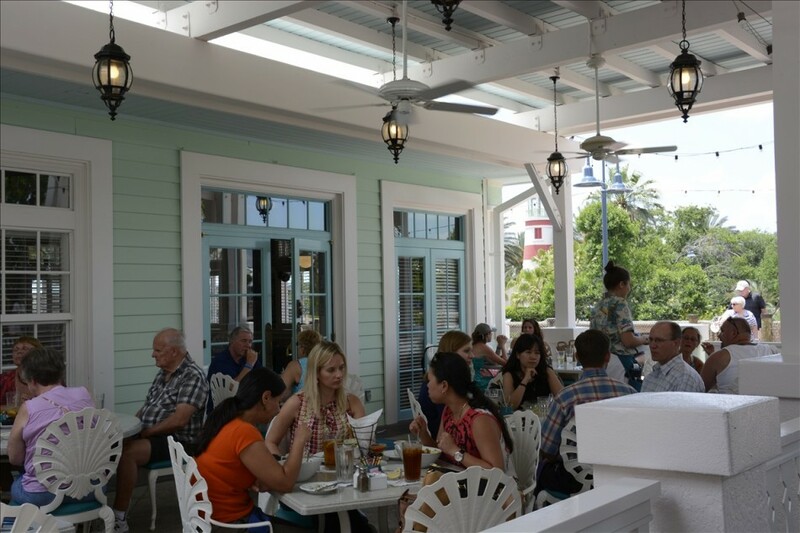 That makes Old Key West a perfect choice for guests who prefer a little more room to move around. Old Key West is the only Walt Disney World resort with a sauna by the pool. 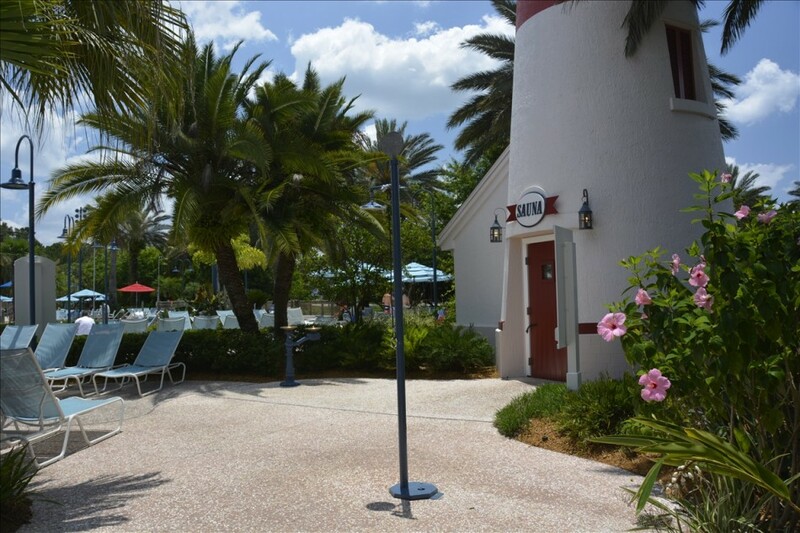 It is located near the main pool, inside the resort’s iconic lighthouse. Old Key West has a relaxing, casual feel. More than any other DVC resort, this one has a homey, laid-back feel. Just imagine enjoying your coffee with a book on one of these decks in the morning, as the rabbits and turtles are busy looking for things to nibble in the grass below. It’s a quiet, mellow retreat – perfect following a hectic day in the parks. 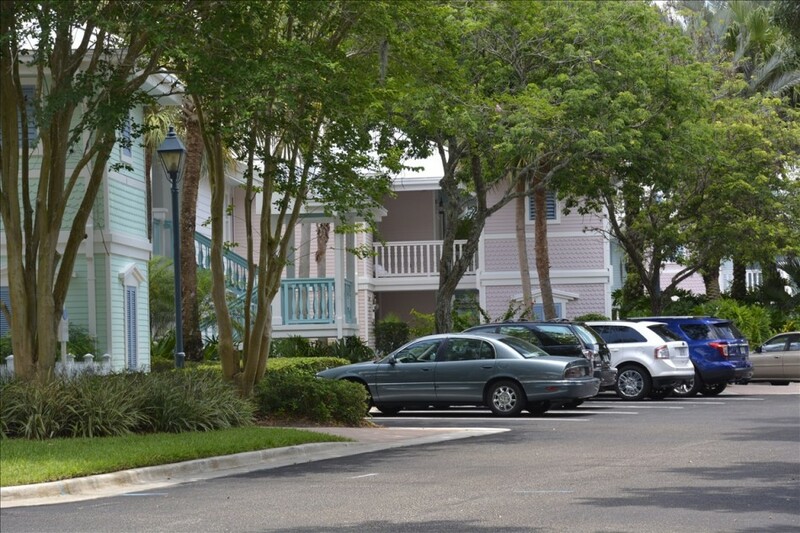 People who drive to Walt Disney World enjoy the convenience of being able to park near their villa. At Old Key West there are no long hallways to walk down. This makes it especially easy when bringing in heavy groceries and piles of luggage. Are you a fan of golf? 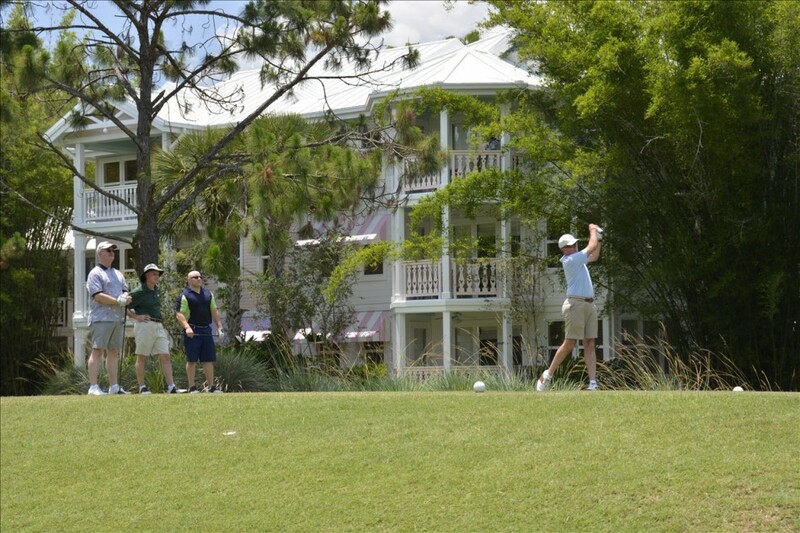 The Lake Buena Vista Golf Course, located near Downtown Disney and Disney’s Saratoga Springs Resort, winds its way right through the middle of the Old Key West Resort. Even if you don’t golf, it sure makes for a pretty view from your villa. 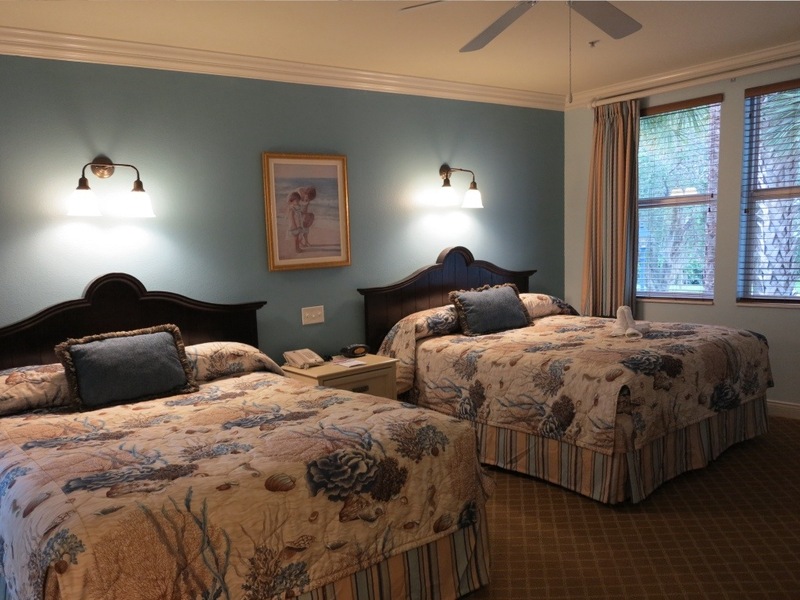 Old Key West is the only resort with two queen beds in the studio villas. All the others have a bed and a sofa bed. When I am visiting Walt Disney World with friends, this is the resort I like best because we both get to sleep in a real bed. Old Key West has a beautiful nature trail that leads to Saratoga Springs and Downtown Disney. It’s about a 20-30 minute walk each way and is just lovely. I love Walt Disney World, but every now and then it’s nice to get away from it all. This trail is an especially nice way to reconnect with nature. The only people you will see are most likely passing by in a boat. Not all of the resorts at Walt Disney World have outdoor sports courts, but Old Key West is one of them. 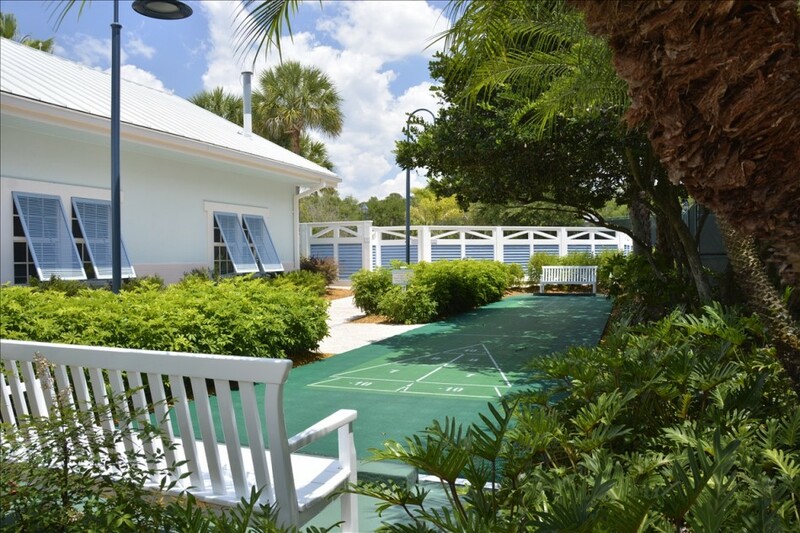 In addition to shuffleboard, this resort also has tennis courts and a basketball court. They also have ping pong and pool tables, in addition to bike rentals. There’s a ton of fun things to do here. The much loved Olivia’s restaurant is enough to bring some guests back time and time again. Olivia’s is a casual, down-home eatery with great, friendly service that makes you feel like you’re visiting family. The staff remember you and make a point to say hi and ask how your day’s been. In addition to the main dining room, there is a small sunroom with photos of members all over the walls and the sweet patio shown above. 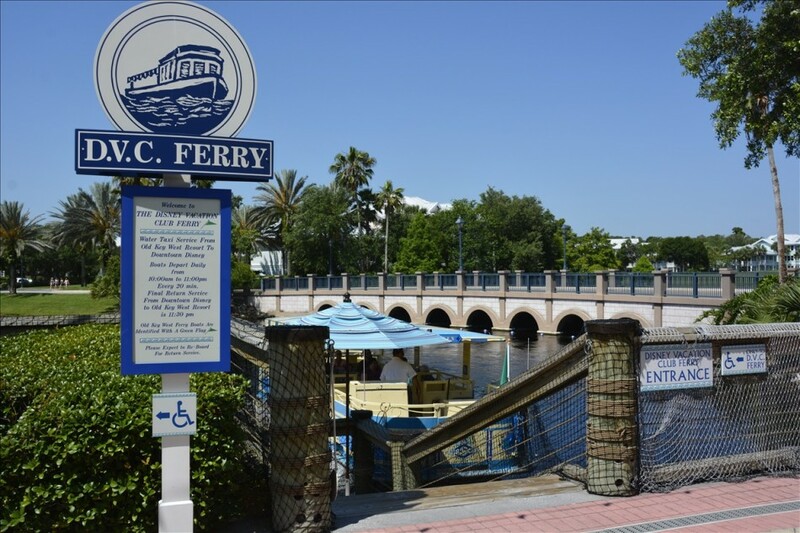 It’s easy to get to Downtown Disney via the DVC Ferry. 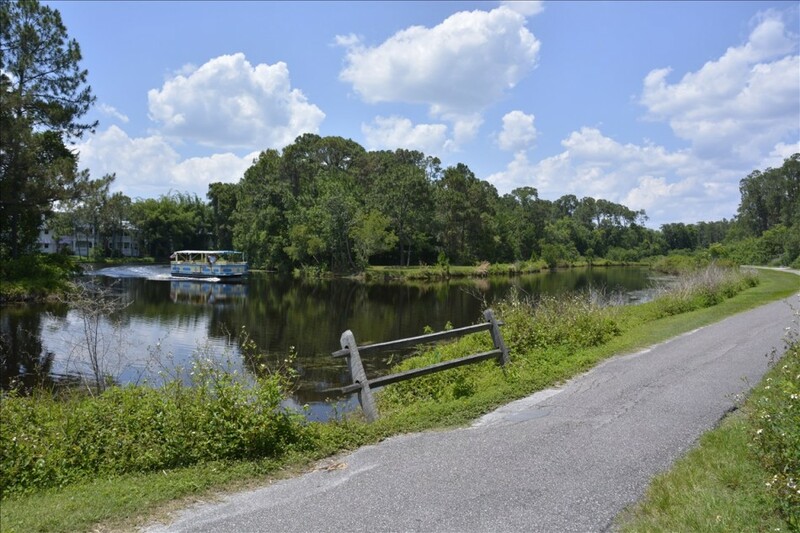 Every 20 minutes one of seven ferries with names like Florida Queen and Delta Lady takes off to traverse the waters of the Sassagoula River, giving guests a leisurely ride past the Treehouse Villas and Saratoga Springs. This is an especially nice ride in the early evening hours. So, there you have it, my top 10 reasons for choosing Disney’s Old Key West. If these things appeal to you, then Old Key West would make a great resort for your next vacation. Check out the other articles in our Top 10 series below. 4 thoughts on "Top 10 Reasons to Stay at Disney’s Old Key West Resort"
This is a really helpful series of articles. It’s not always easy to judge from the info on the official WDW site what the pros and cons are of one resort versus another (aside from theme and rooms types/meal options). This is especially important for families with more than 4 people, or with special needs like ours. Thanks Aine – I’m glad you like the series. I’ll be doing all the DVC resorts over the summer. How are the bathrooms, are they wheelchsir accesible?